Hello everyone! I’m sorry it’s been a while I have been pretty busy lately but I’m sure I will be back on track soon! So the other day, I made some sponge cake for my class. 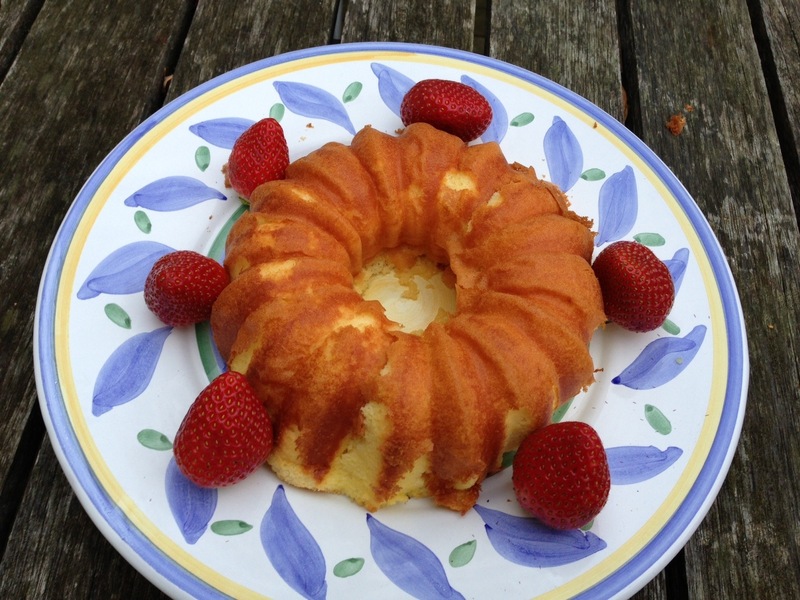 I had never seen a sponge cake in a bundt pan before but I decided to give it a try! Separate the eggs. In a large mixing bowl, beat egg yolks until very thick and lemon colored. Beat in sugar gradually. Add water, lemon extract and lemon rind. Beat in flour. In another bowl, beat egg whites until frothy. Then add cream of tartar and salt. Beat mixture until whites are stiff, but not until they are dry. Fold this whipped mixture into yolk mixture. Pour batter into an ungreased 9 inch tube pan. Bake at 325 degrees F (165 degrees C) for one hour, or until done. I highly suggest this recipe! 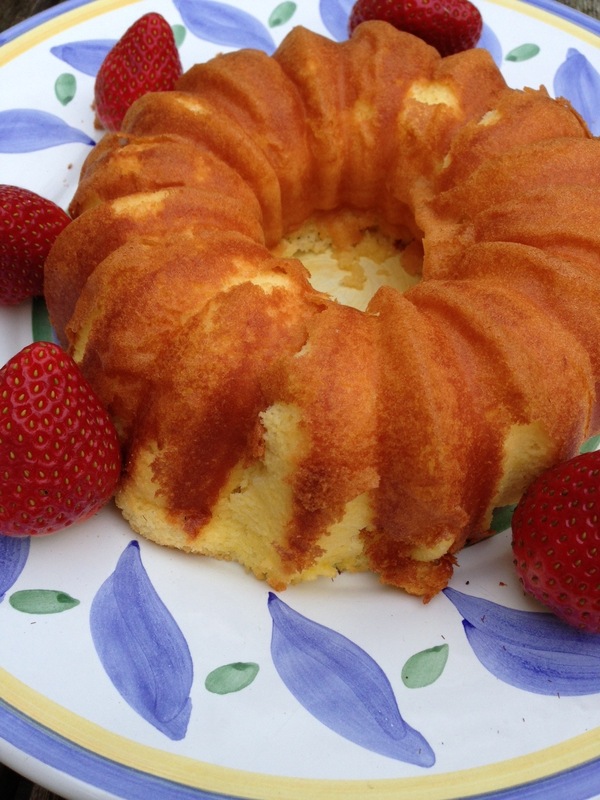 It tastes great especially with strawberries! Wow! I am so grateful for the awards that I’ve just been nominated for! First, I would love to thank the amazing Jhuls! I am so thankful! 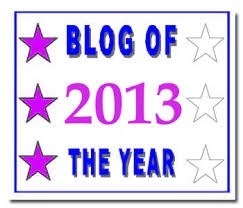 Jhuls has nominated me for the Blog of the Year 2013! Oh my gosh, thank you so much! Next I want to thank Poppy, for nominating me for my second star! She’s great you should check out her blog! Thanks so much!! Next, I would like to thank Fae! Thanks so much for nominating me for my third star! She is so amazing! Thanks again! Which means that you can check out your favorite blogs – and even if they have already been given the award by someone else – you can still bestow it on them again and help them to reach the maximum 6 stars! You can either ‘swop’ your badge for the next one each time you are given the award – or even proudly display all six badges if you are lucky enough to be presented with the award six times! Secondly, but certainly not least, I would love to thank Shivaay Delights and Jhulsfor the versatile award! I am so incredibly thankful is so kind of them to nominate me so, Dimple and JhulsI really really appreciate that! Thanks again! 1. Display the award image on your blog. 2. 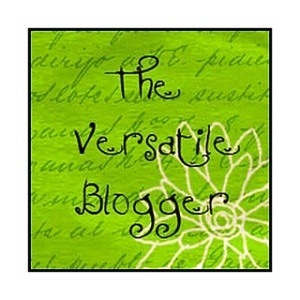 Mention and link-back to the blogger who nominated you . 3. Nominate 15 bloggers you think deserve the award. 5. Write 7 facts about yourself. 1. I am currently teaching myself to play the ukulele! I’m learning Cough Syrup by Young the Giant! 2. I am not very fond of clowns, apart from the ones who aren’t purposely trying to be creepy. 3. I don’t consider myself a good drawer but, I love to do it. 4. I am currently reading The Fault In Our Stars by John Green. 5. My favorite kind of cheese is Brie. 6. I have always wanted to go to Hawaii. 7. In school, I am taking Spanish. Key Lime Pie Take Two! 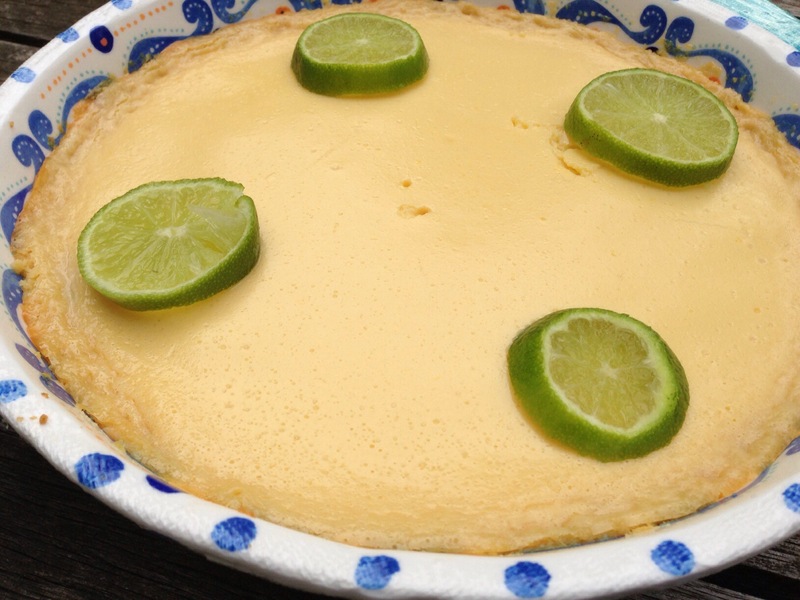 In a medium bowl, combine condensed milk, sour cream, lime juice, and lime rind. Mix well and pour into graham cracker crust. Bake in preheated oven for 5 to 8 minutes, until tiny pinhole bubbles burst on the surface of pie. DO NOT BROWN! Chill pie thoroughly before serving. Garnish with lime slices and whipped cream if desired. 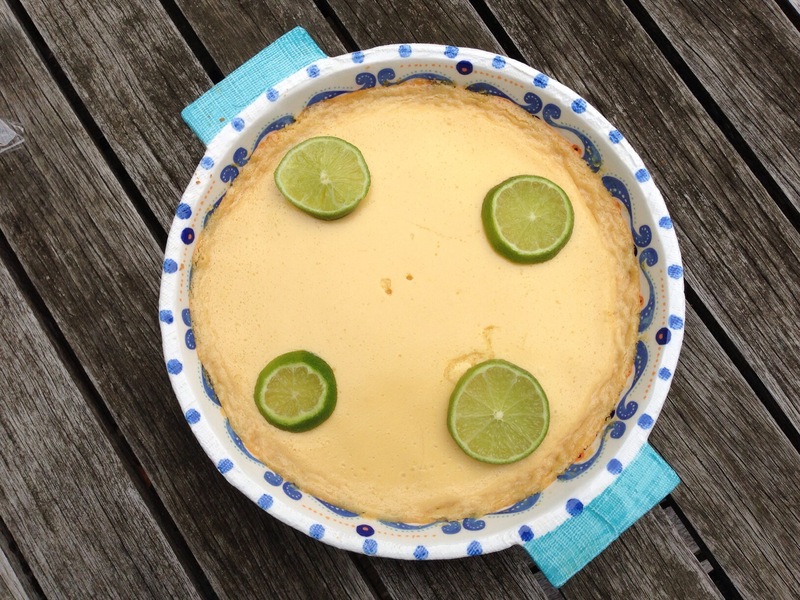 I loved my key lime pie and so did my classmates!